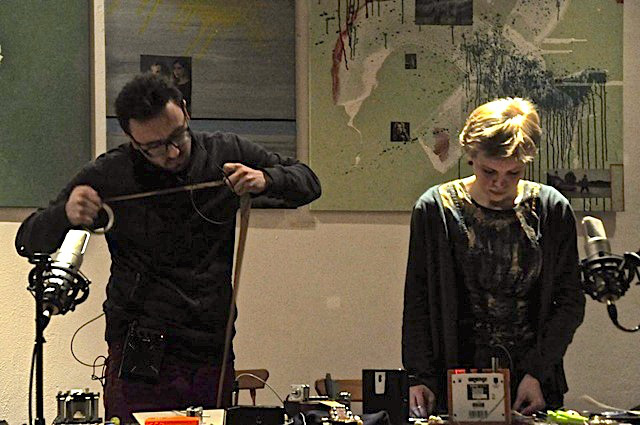 'songs about trees' by alexander chernyshkov and marina poleukhina is an album of improvised sound experiments, recorded live on 'different instruments, mechanical devices and objects'. these are noisy, glitchy soundscapes, but in a way i feel that they are evocative of their stated subject matter, reminiscent of trees creaking in a stiff breeze or the cicada's numbing drone, or even at times the sound of a tree being cut down. the effect of evoking the sounds of nature through these transparently technological means is interesting. lesser knowns - what you wanna do? !